Wex is a cryptocurrency exchange platform from New Zealand, founded in 2017. Several sources are pointing out that Wex is actually a rebranding of the former, now infamous exchange BTC-e, which came under public’s attention after being fined $110 million by the FinCEN. Despite all of those claims, Wex is among the top cryptocurrencies in the world, currently on the 29th spot according to coinmarketcap.com, with more than $40 million daily volume. The exchange platform offers over 40 cryptocurrency pairs for trading, including pairs related to Dash, ZCash, Bitcoin Cash and Namecoin. 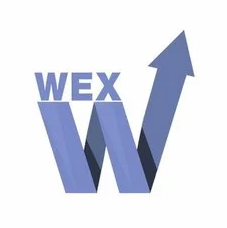 One of the most important things to mention is that each coin supported by Wex can be traded against fiat (USD or EUR). Since the exchange had been founded recently, it still offers a set of bonuses in order to stimulate its customers. Wex is also claiming to have a primary focus on regulatory compliances, which is another important aspect to mention. Fees structure: zero cryptocurrency deposit fee, 6.5% for Western Union and MoneyGram: fixed trading fee: 0.2%. Verification process: customers must provide a series of personal details and upload a valid identification document. Chat feature for support, where clients can receive responses and help with their inquiries within one day. Deposit fees for Western Union and MoneyGram are too high. Some customers argue that Wex does provide a limited number of cryptocurrency pairs. Wex is stigmatized by the association with the former, now infamous exchange platform BTC-e, which had received a record fine. Despite the negative feedback, Wex continues to be among the top exchanges by daily volumes, a fact confirmed by the rankings on coinmarketcap.com. It is still one of the exchanges that support fiat money deposits and also customers can benefit from trading each supported cryptocurrency against fiat money (EUR or USD). Although the association with the BTC-e exchange does not improve its overall image, Wex is among the exchange platforms providing high-quality trading conditions, good customer support, and the platform covers a relatively wide range of cryptocurrencies. Summary: One of the most popular Bitcoin exchange platforms on the market. The best place to trade Bitcoin-related cryptocurrency pairs.